It’s been quite a while since we’ve had a chance to update the site so we want to add current news. We are now performing in four different counties, at multiple locations. 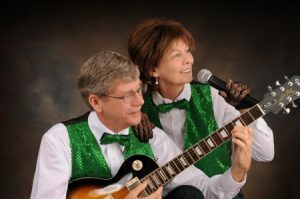 At some locations we are doing “double-headers”, one show for the memory care unit and another back-to-back show for the assisted living unit. July is shaping up to be a very busy month, but we still have a few open dates. So feel free to contact us. It’s best to get your request for a date to us as soon as possible especially for holiday shows. We tend to get booked early for our holiday shows so contact us now. We do special shows tailored to the holidays, including costumes and decorations. We also do special themed shows. We’ve done things like an “Under the Sea” themed show by request where we did all beach and water related songs, including “Under The Sea” from The Little Mermaid by request. Just a few of the themed shows we have done in the past include 4th of July/Patriotic, Broadway, Motown, 50’s rock and roll “Sock Hops”, “Under the Sea”/Beach, and all Country shows. If you have a special theme in mind contact us and we can put something together to meet your needs. Our typical performances are one hour in length, but we also do longer shows. We can do up to 3 hour shows. If you have an assisted living facility within about an hour’s drive from Pigeon Forge, TN we would love to hear from you! We have numerous other facilities on our schedule for the rest of the year in our four county area. While we focus on assisted living facilities we also perform for private parties and other venues, so feel free to contact us about your Wedding reception, birthday, retirement, or other party. Please click here to our Contact Us page and send your contact information, and join our mailing list.